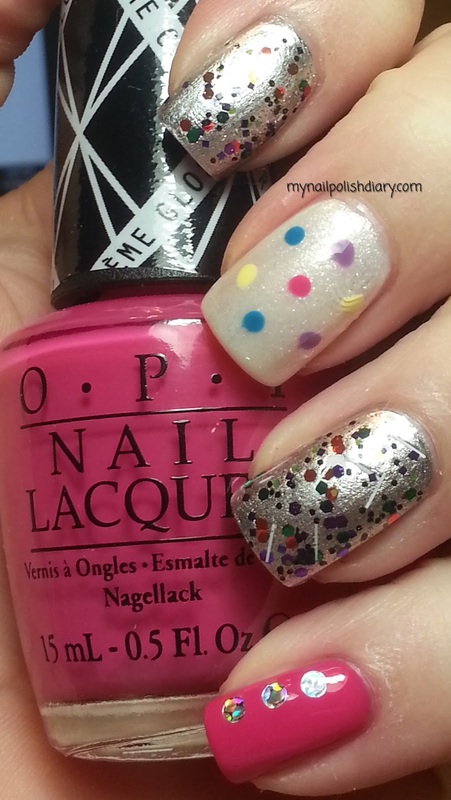 My Nail Polish Diary: Circus Mani! We're going to the circus tomorrow! I love the circus. This is my circus mani. This is probably only the second time I've done this much in a single mani. I did a bunch in my Valentine's Day mani a couple weeks ago. I'm really enjoying this form of nail art. It's a lot of fun and super cute to celebrate a special day or in this case a fun date night with DH. I'm pretty sure I've blogged all these before other than OPI ISYLM and DP WTWT. This was super easy, though it did take me a little while to get it done. I'll be doing more of these type of manis in the future I'm sure of it!